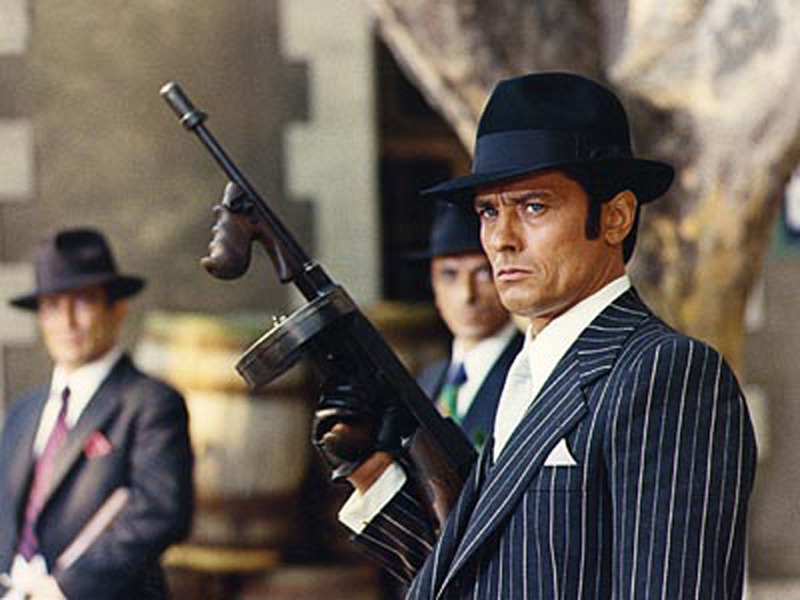 Borsalino. . HD Wallpaper and background images in the Alain Delon club tagged: delon sylvie alain movie. This Alain Delon wallpaper might contain rifleman, green beret, special forces, elite soldier, and business suit. He looks great as a mobster!